If you are planning to visit Tokyo for sightseeing, are you familiar with Japanese alcoholic beverages? 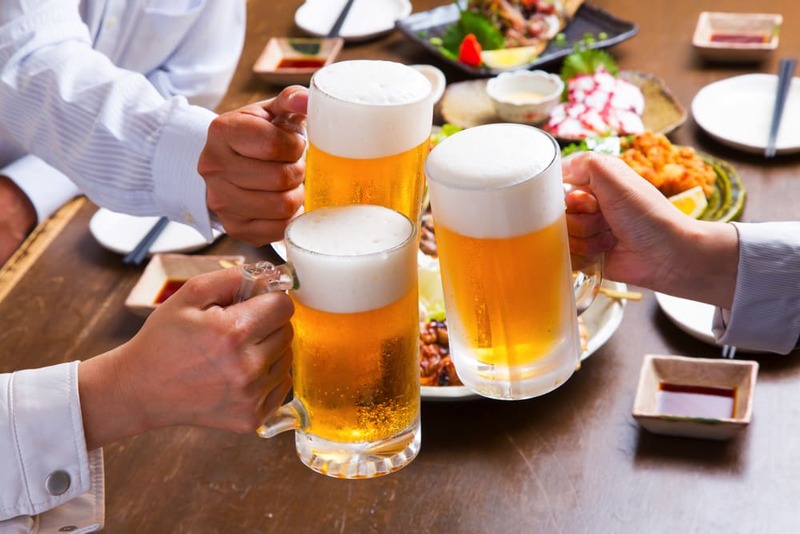 In Japan, it is said that there was already a custom of enjoying alcohol and snacks in an Izakaya about 400 years ago. It’s common to put in a first drink order, a round of beers to start. There is a drink called hoppy that tastes very much like beer. We will be referring to this Japanese popular hoppy beer in this article. There are different types of beer in Japan just as there are many different personalities in the world. There are some popular brands such as Kirin, Asahi and Yebisu beer. Kirin is a popular beer in the world since its launch for the sharp aftertaste. Asahi beer gained major popularity for its bitter taste. If you want to enjoy the natural flavor of the ingredients, Yebisu beer is recommended. You can also enjoy having Japanese craft beers in restaurants and bars. One of the brands is “Yona Yona beer” made by Yo-Ho Brewing in Karuizawa. It has a rich taste with a perfect balance of bitterness and sweetness. Craft beers and brand beers are the perfect ones to start with if you want to enjoy Japanese beers. Hoppy is a type of beer sold by Hoppy Beverage Co., Ltd. (formally Kokuka Beverage Company) that is mainly producing soft drinks. The primary reason for the popularity of hoppy is being low in alcohol level. It contains only 0.8% of alcohol, so those who drink less can enjoy too. Another characteristic of hoppy is that you can add the amount of shochu based on your preference. 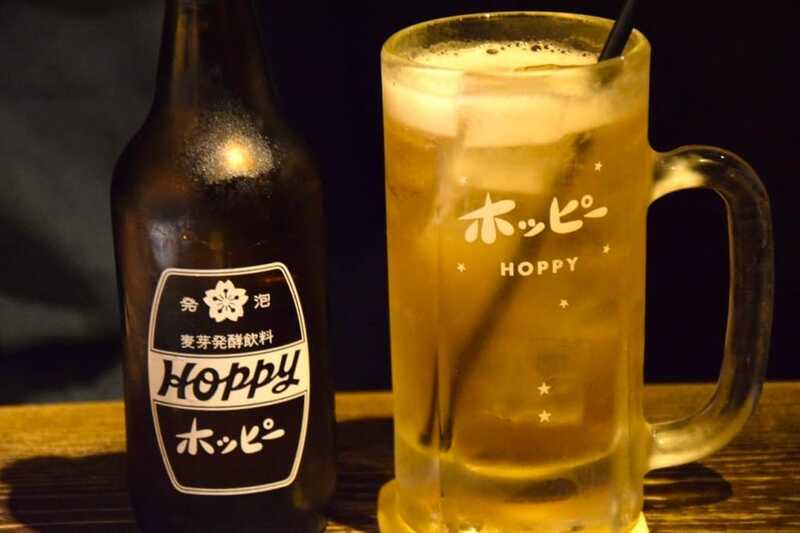 Hoppy was created in 1948, in post-war Japan, and became popular as a cheap alternative to beer, which was too expensive for most people at the time. Hoppy continues to be popular even it started as a substitute for beer. It is a drink that you would want to try first when you go to Izakaya or bars in Tokyo. If you visit Tokyo, there are alcoholic drinks other than beer and hoppy you would want to try. Firstly, there are Shochu and Chu-hai. Shochu is a type of distilled liquor. Chu-hai is made with Shochu and carbonated water, which many times flavored with fruits. Secondly, we recommend Sake. Unlike Shochu, Sake is categorized as brewed liquor. Sake can cause hangover compared with Shochu, but as it contains plenty of amino acids, it makes suited to use in cooking. Recommended Bar Hopping Tour in Shinjuku! 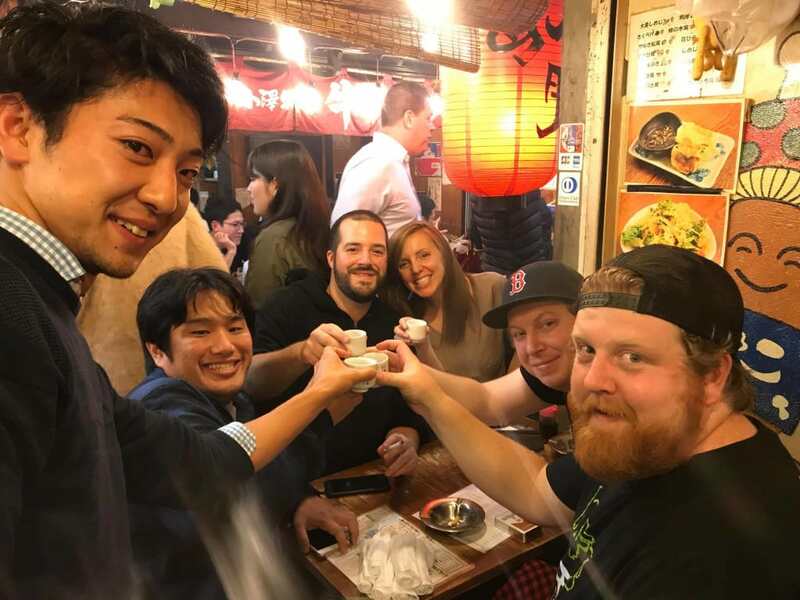 If you want to enjoy drinking in Tokyo, we recommend you to join the Tokyo bar hopping night tour. The tour offers a visit to different Izakaya in Shinjuku or Ebisu Yokocho where you can have various snacks that go great with alcohol. Surely it will be an exciting experience! Hello, my name is Shoto! I’ve lived in and traveled many countries. Through the experiences, I saw a lot of different cultures and customs, and that made me realize how unique Japanese culture is.